If you are new to the series, I will create three cards with just one stamp set on Monday, Wednesday and Friday. SUPPLY LIST AND VIDEO TUTORIAL BELOW. To make this card, I used the Peek a Boo Jumbo Die to cut a hole into the card panel. 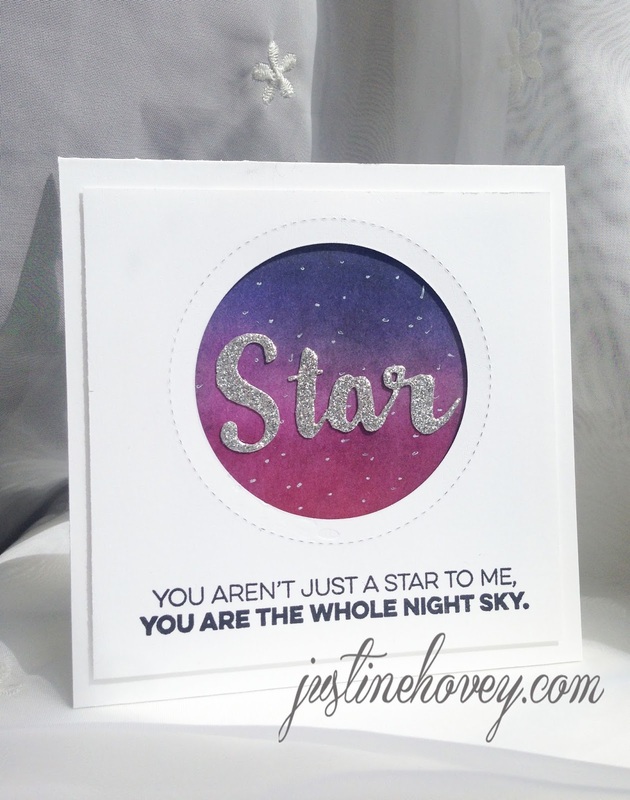 I used distress inks in Chipped Sapphire, Black Soot, Abandoned Coral and Seedless Preserves to create the night sky. I stamped the sentiment from the Count the Stars set and die cut the Star using the Stars and Wished Die Cut using silver glitter paper.